A few years ago we thought about renting a house in Cyprus. Or in Malta. But the flight choices from Helsinki were not the best possible. No direct flights to Malta anymore. Cyprus had some interesting houses for rent, but at the end we could not find one within our budget, and fulfilling our wish list. So we turned to fabulous Italy – again. Great choice! 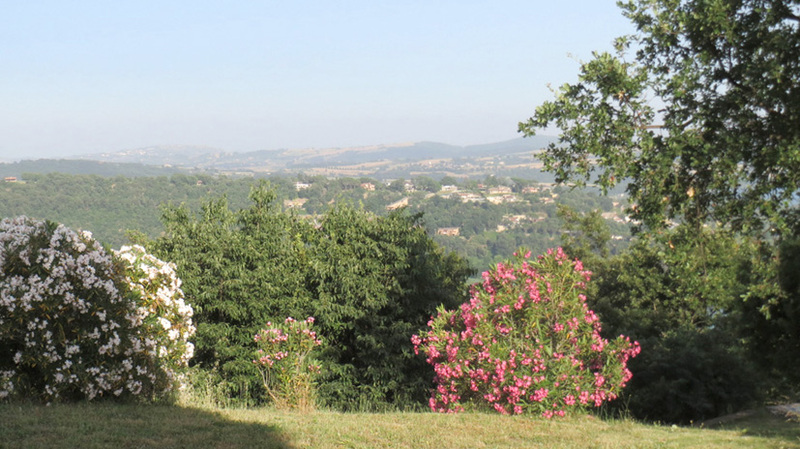 This time we chose to visit an area north of Rome, as we had so far visited areas south of Rome. Italy is full of great people, the language is beautiful and interesting to learn, the food and wine culture is fabulous and the scenery is awesome, wherever you go. As earlier, we found it hard to find a house with air conditioning. The summers in Italy are hot. I was about to give up, trying to find a nice house 1 hour north from Rome, with AC. Then I got a reply to one of my queries. 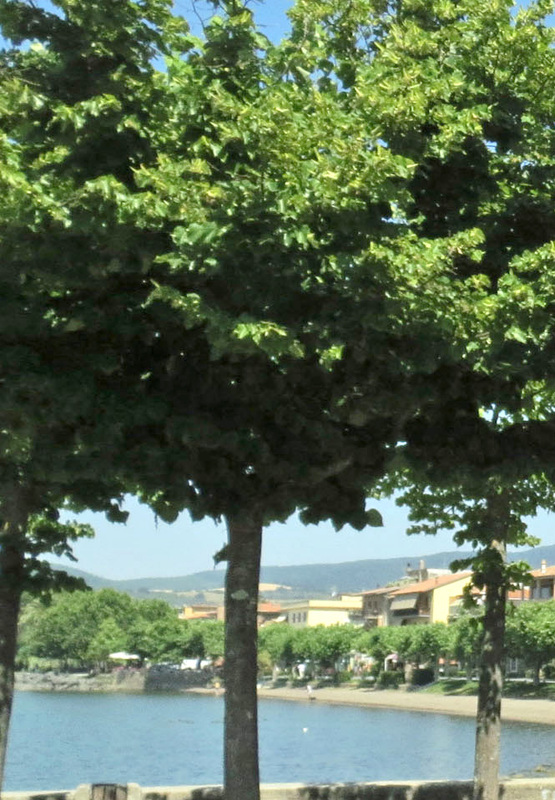 A man in Trevignano Romano said his family has a vacation house for rent. The owner promised that the house reflected our wish list. He promised there is ACin the house. So we made a deal. We chose a house by a lake, instead of the Mediterranean sea, as always before. 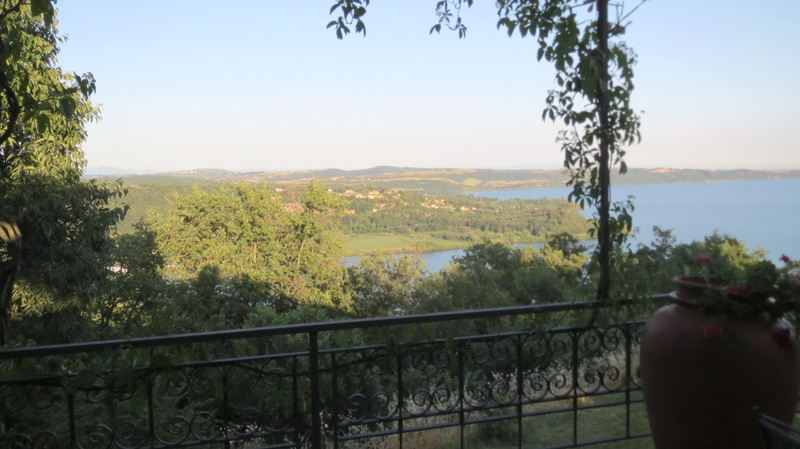 And what a view we had from the house down to lake Bracciano. While you wait to travel, read travel blogs and books of the country and the area, which you will visit. Check out the web pages of the city you will stay in. Then you know in advance of events during your vacation, find tips on great restaurants and museums, etc. This was the second time we chose a house, by chance, in a city where the Italian themselves like to stay during the weekend and the holidays. 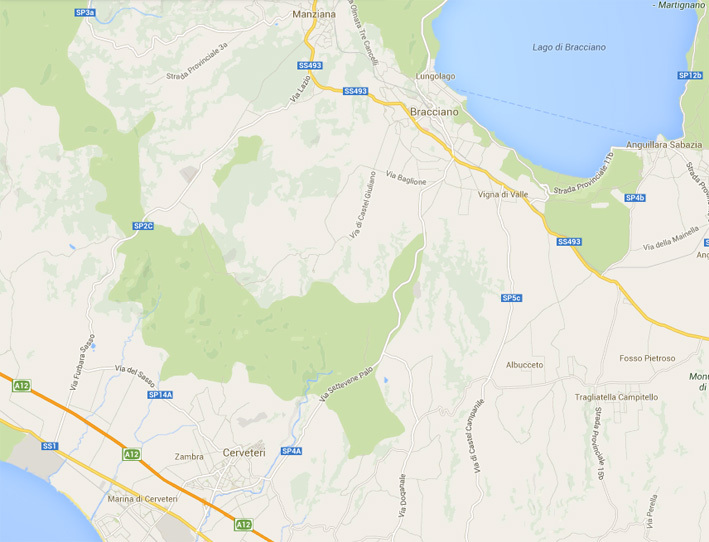 3500 – 5000 people live in Trevignano Romano. It depends on who you ask. Many come there just for the weekend. Those who live there, work in Rome or are working from home. 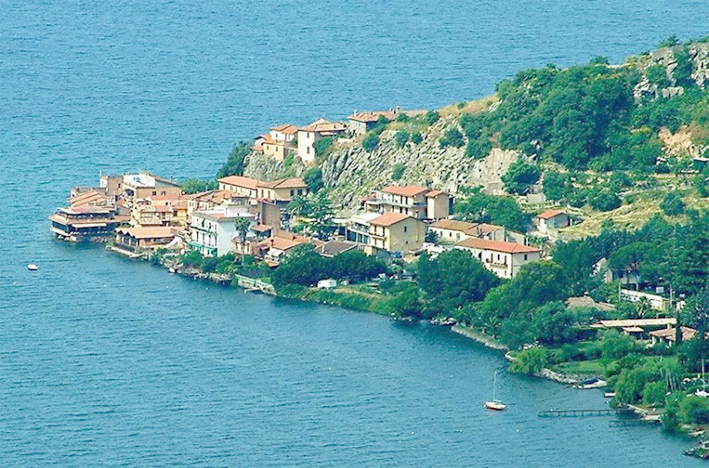 The beautiful Trevignano Romano is situated by Lago di Bracciano, lake Bracciano, less than 50 kilometers north from Rome. 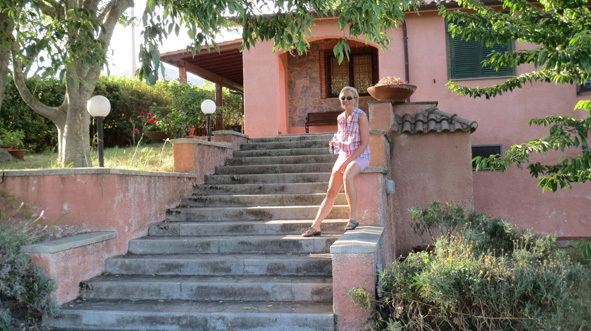 The highway A12 takes you from the international Fiumicino airport to Cerveteri, where you turn inland. 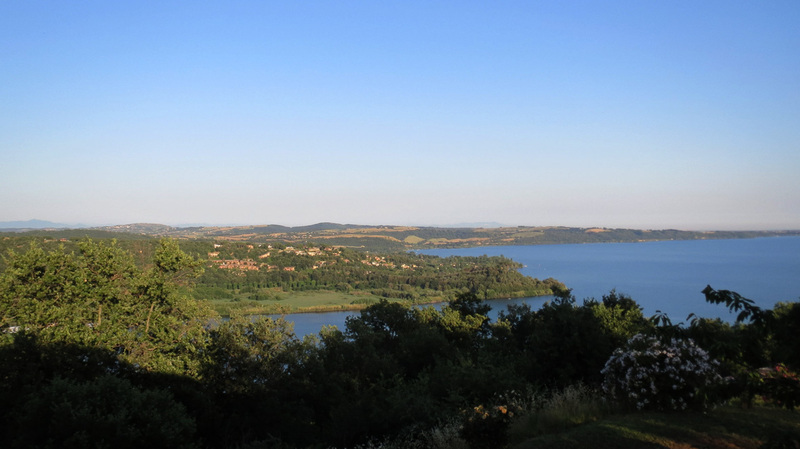 From Cerveteri it took maybe 15 minutes to Bracciano, a small town by the lake Bracciano. 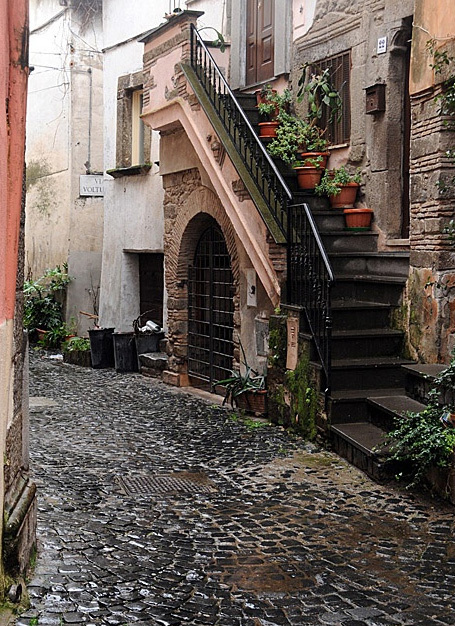 The old town of Bracciano is small but very beautiful. 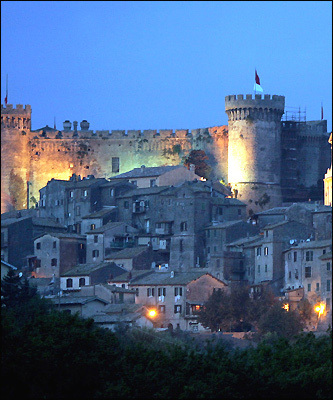 On Piazza Mazzini you find the old castle Castello Orsini-Odescalchi. You can rent the castle nowadays. 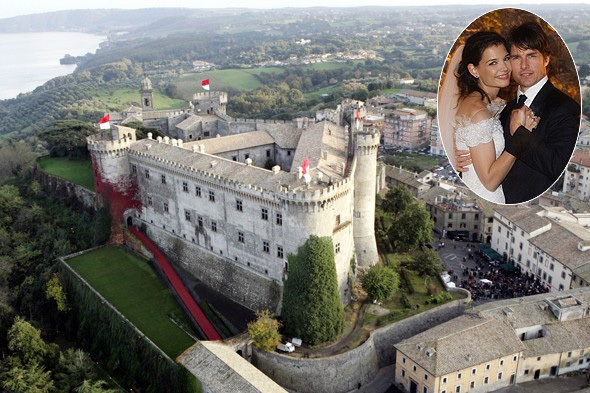 One couple who did this was Tom Cruise and Katie Holmes, when they were looking for a fabulous place for their wedding. 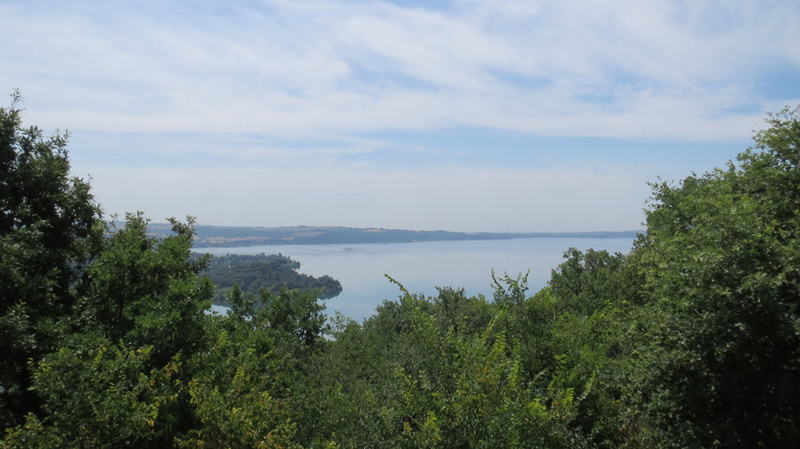 From Bracciano we moved on along the SP4a towards Trevignano Romano. On both sides of the road a thick green forest surrounded the road. Every now and then we saw a glimpse of the lake. We also saw some amazing houses right by the lake. I wonder how much they cost. Our vacation house was close to the lake, but not 10 meters from it, like these houses. In ten minutes we arrived in Trevignano Romano. I must say I have seldom seen anything so beautiful. In the middle of the main street we turned left. The street got smaller and smaller. It was fascinating to see such old roads, with houses so close you could almost touch them through the car window. Putting on the first gear our small Alfa Romeo made it to the top of the hill. The view from Monticello hill was unbelievable and breathtaking. Even though we check and recheck certain things, Italians tend to surprise us every now and then. The very polite house owner showed us around the house and the garden. Everything looked great and perfect. The house was bigger than we thought and needed, but it is hard to find small houses. The garden was huge and had trees, bushes and plants everywhere. The swimming pool was located a the south corner of the garden. It was a great spot. 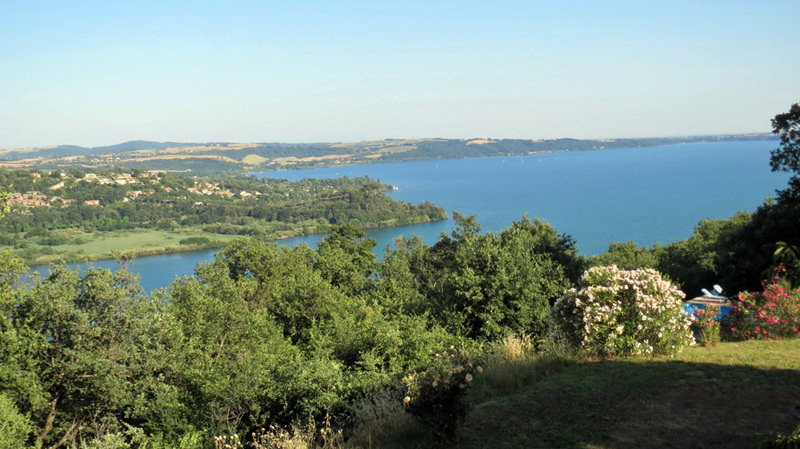 On your east side you have the amazing Parco Naturale Regionale di Bracciano and on your south side you can see all the way to Rome on a sunny day. The house had a small terrace and a bigger one. The view from the bigger terrace was just beautiful. When we asked about the AC, the owner looked a bit sly. When I reminded him of the importance of AC to us, he started to talk about global warming etc. He also said it would not be too hot, so we would not need AC. We said we do need it. The temperature was already surprisingly high, around 34° C. Early June this is hot, even in Italy. Finally the owner said there was an AC in the house. But, it was in the dining room. It had not been used for years. He said he would go and get the remote control and check if the AC works. When he came back and turned on the AC, a terrible noise filled the house. As our Italian house renter did not know what to do, and as my husband is quite smart with technical apparel, my husband said he can have a look. And smart as he is, he repaired the AC with the things available. The AC started working, without smoke and noise, but at the lowest level. We were surprised that the owner had not checked and fixed the AC, as it is mentioned in the ad and as we had especially asked for it. We also had to pay extra for the AC. But the house was nice, the garden was huge, we had a swimming pool (2 meters from the natural park) and the location was fabulous. 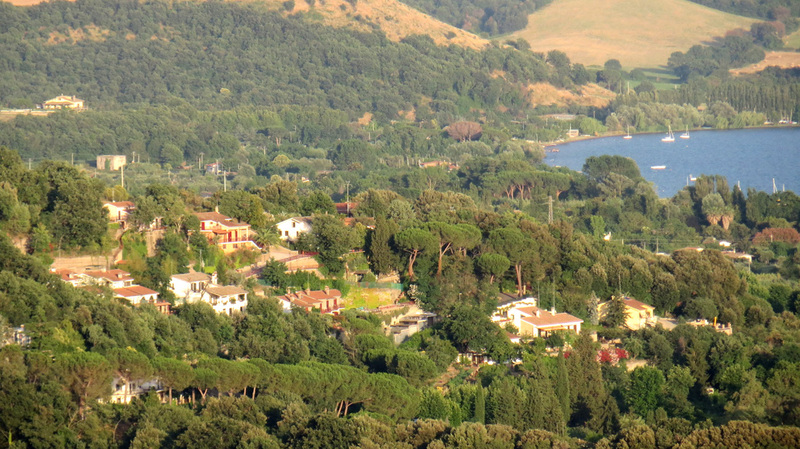 So we had a terrific 2 weeks in Trevignano Romano.